Two quick questions: How many people make New Year’s Resolutions each year? How many people wind up keeping them? The answer to the first question is almost everyone. The answer to the second question is less than one in ten. In fact, according to the latest statistics, only about 8% of people manage to keep their New Year’s Resolutions. It’s not hard to understand why. Life happens. There’s almost no such thing as work/life balance these days, and the day to day hustle and bustle of living tends to get in the way of sticking to those lofty goals. Most people would be grateful for a bit of a helping hand that would improve their odds of keeping those resolutions, because most people make them with the best of intentions. Before you can help, you’ve got to know what goals your employees have set for themselves for the new year. The simplest way to get at that information is just to ask. If that’s out of character for you, expect your employees to react with at least a measure of suspicion at your sudden interest, so be prepared to explain why you’re asking, letting them know that you’d very much like to help them. Once they understand, you’ll almost always get a warm reception. Once you ask and start hearing about the different goals your employees have set for themselves, one thing that will probably jump out at you is the fact that a significant minority of the people in your employ have probably set unrealistic goals for themselves. For instance, the goal, ‘I want to lose a hundred pounds’ sounds amazing, but honestly, that’s too big to try and do all in one goal. When you hear goals like that, the first best thing you can do to help is approach the problem as you would a work-related problem. Break that huge goal into smaller, bite-sized chunks. In the example above, focus on the first ten or twenty pounds. Celebrate that milestone, and then set another. This helps give your employees a logical framework to proceed from, but of course, the next logical step is that you’ve got to follow up. You’ve got to gently hold them accountable to the goals they’ve set for themselves and provide encouragement when they veer off course, which will inevitably happen. Another thing you can do to help is to make it fun. Have everyone who works for you share their resolutions, and then do periodic check ins, at say, two week or one month intervals to see how everyone’s doing in terms of reaching their incremental goals, en route to their larger goals. In this way, everyone becomes involved in the process of helping everyone else reach their goals. It becomes a cooperative, collaborative exercise with everyone being accountable to everyone else, with all participants sharing in the successes and commiserating the failures along the way. 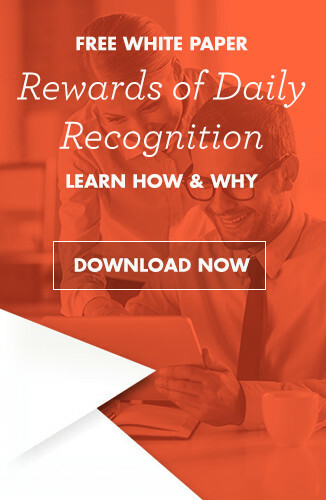 Just as you celebrate the milestones of a work-related project you’re engaged in, also take the time to celebrate the milestones your employees achieve as they steadily work toward achieving their goals. The exact same methods you use when managing office projects can be brought to bear here, and they’ll have similar results. Once you begin getting involved in the personal life goals of your employees, you’ll find that you’re suddenly able to identify things you can tweak and change around the office that might help them meet their goals. For example, a great many people set some type of weight loss goal. It’s one of the most common New Year’s resolutions made, and there are a number of simple things you can do to help make it easier for your employees to reach those goals. How about adding healthy snacks to the break room? What about, instead of sometimes catering in a lunch of grease burgers, you decided to cater in healthy salads? Or have an employee potluck lunch where everyone brings healthy dishes? None of those things require a tremendous amount of effort on your part, but all of them will make it much more likely that your employees can actually reach the goals they’ve set for themselves. Even if your employees have set goals not relating to weight loss, the same thinking applies and plenty of opportunities can be found. Most importantly, if your employees are opening up and sharing their resolutions with you, return the favor and share your personal goals for the new year with them. Allow them to hold you accountable in the same way you’re holding them accountable. That kind of employee empowerment will do amazing things for morale and make both you and them much more likely to achieve whatever goals you’ve set. 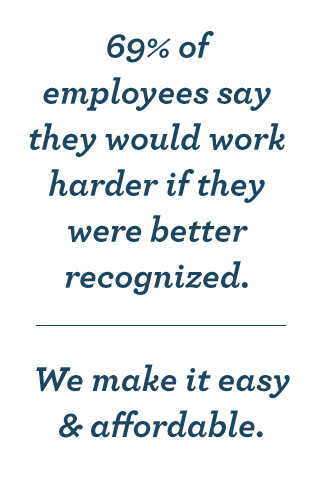 The bottom line is simply this: Your employees are more than just your employees. It would be overselling it to say that they’re family, but they are an important part of your life for reasons that extend well beyond what they do for you while they’re on the clock. Treat them as such. Help them achieve their personal goals, just as they help you achieve your business goals. You really are all in this together, and the moment you acknowledge that, you’ll find that it changes your thinking in a variety of ways, making you more accessible and approachable, which you’ll find has advantages that extend well beyond New Year’s Resolutions. Everyone wins, and your company thrives.